The definition of a roost is a place or elevated perch where birds rest or sleep. The bar in a chicken coop is an example of a roost. To roost is to sleep on a perch, or to stay the night. A hen sleeping on a bar in her pen is an example of roost. An example of roost is to stay in a hotel overnight. "roost." YourDictionary, n.d. Web. 16 April 2019. <https://www.yourdictionary.com/ROOST>. a place for resting, sleeping, etc. A place where winged animals, especially birds or bats, rest or sleep. A group of animals in a roost. To rest or sleep on a perch or in a roost. The place where a bird sleeps (usually its nest or a branch). A group of birds roosting together. (UK, Shetland and Orkney) A tidal race. 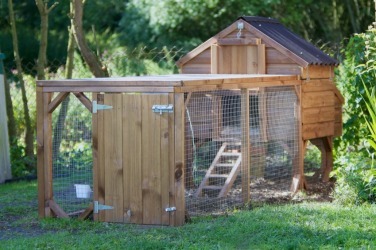 When looking to adapt something as a chicken coop it is important to check that it is waterproof, secure and has somewhere for the chickens to roost and lay their eggs. In the early days of movies with sound, westerns, comedies, and dramas ruled the cinematic roost, but the horror movie was there, lurking in the shadows and waiting for the perfect moment to pounce on unsuspecting moviegoers. Parrots are gregarious and usually feed and roost in companies, but are at least temporarily monogamous. They are unable to fly till nearly two years old, and continue for a considerable time after taking wing to roost and hunt with their parents.